I have been wanting to expand my lab capabilities at home with out adding more noise and keeping equipment footprint to a minimum. 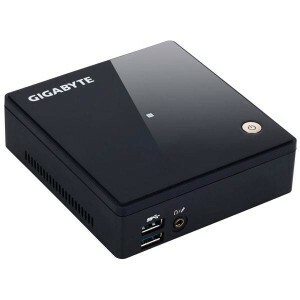 Looking around I settled on Gigabyte BRIX as a low power Mini-PC, selecting it over the Intel NUC, MSI Cubi, and Asus VivoPC/Mini due to availability, cost (here in AU) and hardware features including the amount of memory supported, 4x USB3, and Mini-Display port. While there are other options in the Mini-PC range and always the potential argument for a HP MicroServer or Dell T series server, the desire to have a quiet, small, and energy efficient PC capable of running 2 or more VMs such as Exchange or SharePoint for testing purposes. I was going to do an unboxing with photos of the memory and SSD install process but it was so simple and quick I didn’t bother. From picking up the screwdriver to fully complete in less than 5 minutes. This may been more time consuming that selecting the hardware. After researching and reading multiple blogs and forums I opted for Microsoft Hyper-V over VMware ESXi as it seemed to have better driver (specifically NIC) support. I do have access to appropriate licensing for either hypervisor so this did not weigh into the decision. 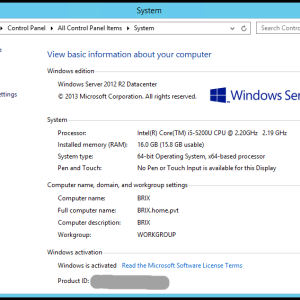 ESXi from reading just had too much time invested in workarounds to get running with all the hardware vs. Windows Server. 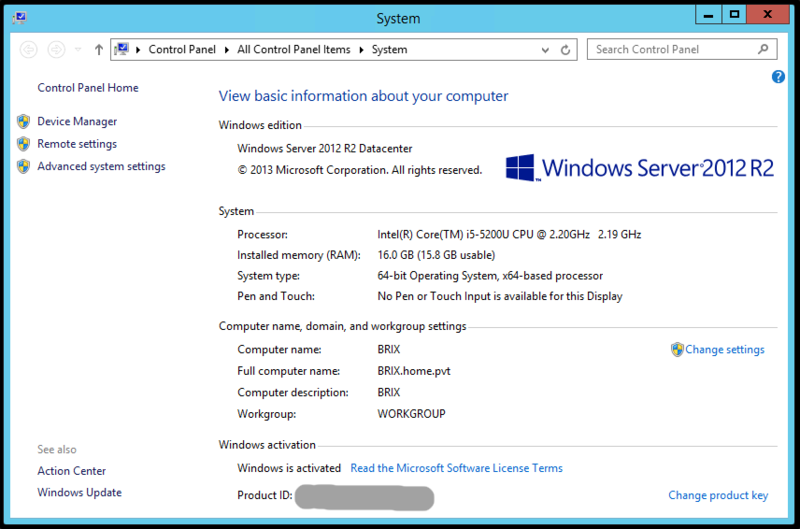 In an effort for a quick and now solution (also running purely Windows VMs) I opted for Windows Server 2012 R2 Update with the Hyper-V role allowing for a full Windows Server desktop and 2 to 4 VMs depending on load. Almost tempted to build another one. hey did you ever try the windows 2016 TP install directly on the Brix unit? I just got burned by lack of network driver support on the Intel Nuc and wanted to see if there was any similar issue on the Brix.